Read online Shajra Aliya Qadriya Rizviya (Ya Ilahi Reham Farma Mustafa Ke Waste) full Manqabat Lyrics. 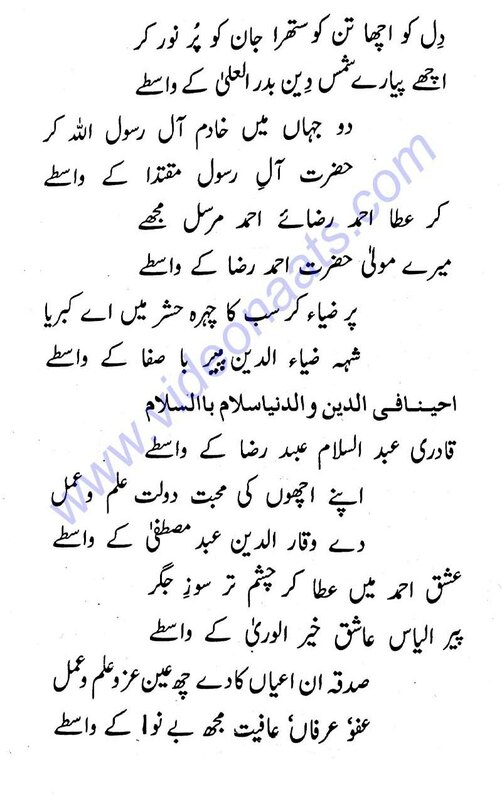 Get download Ya Ilahi Reham Farma Mustafa Ke Waaste Shajra Lyrics full naat Urdu/Hindi. The Ya Ilahi Raham farma Mustafa kay Wastay is the kalam about the silsala of the praying for the great personality of Islam leading to Aliya Qadriya Rizviya. New naat Ya Illahi Reham Farma Mustafa Ke Wasite free download.